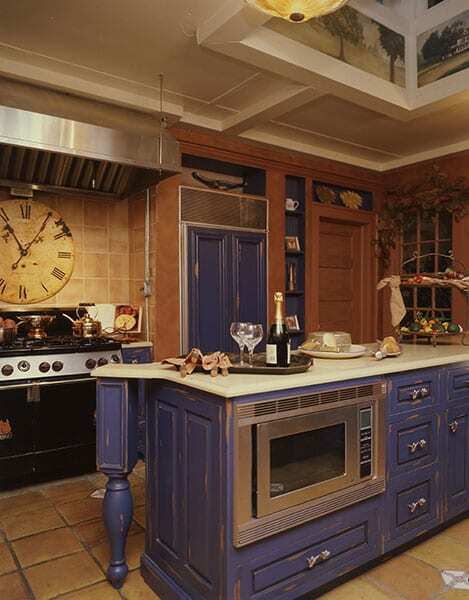 Bailey's Arboretum Designer Showcase Kitchen | The Creative Edge, Inc.
* Traditional distressed painted cabinets by Craft-Maid. 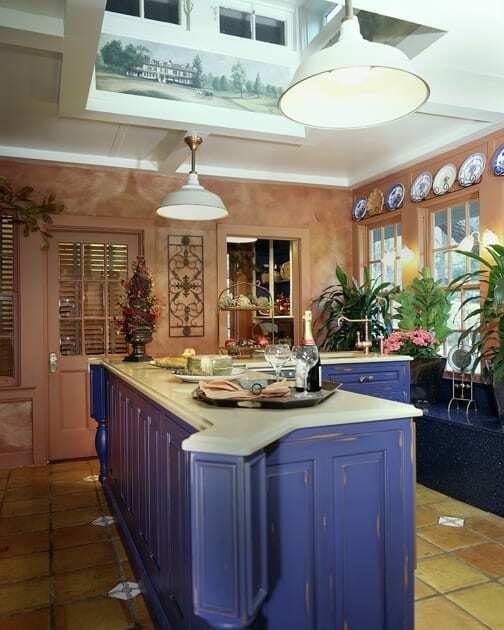 * Using existing old Mexican tile floor with blue floral inlay. * Changing the layout to expose the full height of the original windows. * Cover window seats with Caesarstone quartz. 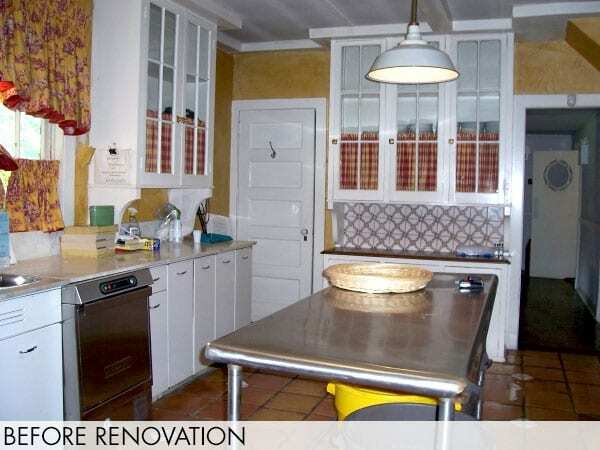 * Utilizing old appliances with new wood panels.